Mad Men’s sixth season was a disastrous one for Pete Campbell, Sterling Cooper & Partners’ charmingly smarmy advertising-accounts executive—which made it a great one for Vincent Kartheiser, who plays him. In the span of 13 episodes, Pete got thrown out of the house by his wife, Trudy, for cheating; ran into his father-in-law at a brothel, costing SC&P the $9 million Vicks Chemical account; got banished to the firm’s nascent Los Angeles office; and tangled with a sociopathic co-worker, Bob Benson, who stole the Chevy account from him and may have played a role in the murder of Pete’s mother. 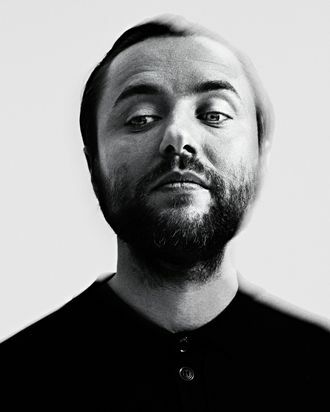 Still, Vincent Kartheiser is not Pete Campbell. Most immediately, there is Kartheiser’s hairline, which is covered in stubble where he shaved bald spots to play Pete, whose scalp can’t even catch a break. And outside of swanky bars, and the ’60s-period clothing he wears on the show, Kartheiser says, “I still dress like I did in high school. My fiancée bought me all of this. She’s like, ‘Honestly, another ripped T-shirt? Put this on.’ ” Then there’s his very un-Pete-like environmentalist lifestyle. 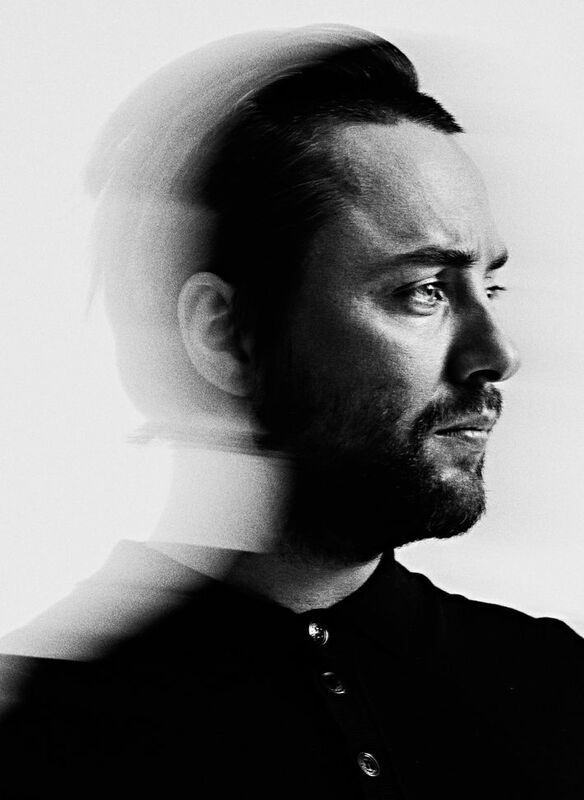 Kartheiser is known for being a bit of an ascetic, and extreme in his ecoconsciousness, though it’s sometimes hard to tell the truth from stuff he made up because he was bored in interviews. For example, he does live in a tiny, 580-square-foot cabin in Hollywood, but, contrary to a popular rumor (that Kartheiser started), he has never lived without a toilet. He did, however, spend four years commuting to Mad Men’s L.A. set without a car before he broke down and bought a Volkswagen Golf. “I was just spending a lot of time waiting for buses,” he says. By 14, he was making regular trips to Los Angeles for small parts in movies like The Indian in the Cupboard. At 18, he moved there on his own, running amok for a time. “On a scale of one to ten—let’s say ten is John Belushi and one is Jesus—I was a five,” Kartheiser says of that period. He looked like a young Michael Pitt, ethereal and lanky with long, greasy hair, and was cast as a teen drug addict in Larry Clark’s 1998 drama Another Day in Paradise. His only recurring pre–Mad Men TV role was a stint as the superhuman son of David Boreanaz’s titular vampire on Angel. At the beginning of Mad Men’s seventh and final season (which AMC has split into two halves; the first is on now, and the second will air in 2015), Pete seems to have found some peace of his own in Los Angeles. “The city is flat and ugly, and the air is brown,” he tells Don, “but I love the vibrations.” The new hippieish Pete has traded suits for plaid pants and polo shirts, has a hot new girlfriend, and is landing big accounts again. “A lot of the show plays on the tension of whether people can change or not,” says Weiner. “Pete Campbell has changed the most to me, even more than Peggy.” But it wouldn’t be Mad Men if things went Pete’s way for too long. “I think Pete has more dysfunction than Los Angeles can save him from in the long run,” warns Slattery. The check for our drinks arrives and Kartheiser turns it over. “Thirty-four dollars and 57 motherfucking cents? !” he shouts. When we get to the coat check, I can’t find my ticket, so the woman guarding my jacket holds it hostage. “Now I want to take back the dollar I tipped her,” he whispers. “Can I dig through your purse? Why don’t you let me hold some stuff? Relax. Everything you pull out I will hold, okay?” To lighten the mood, Kartheiser tap-dances. When we locate the ticket, he sings, “I’ve got a golden ticket!” and hands it over with a flourish before helping me reload everything into my bag. “You are a mess!” he says.